The main aim of the International Journal of Artificial Intelligence™ (ISSN 0974-0635) is to publish refereed, well-written original research articles, and studies that describe the latest research and developments in the area of Artificial Intelligence. This is a broad-based journal covering all branches of Artificial Intelligence and its application in the following topics: Technology & Computing; Fuzzy Logic; Neural Networks; Reasoning and Evolution; Automatic Control; Mechatronics; Robotics; Parallel Processing; Programming Languages; Software & Hardware Architectures; CAD Design & Testing; Web Intelligence Applications; Computer Vision and Speech Understanding; Multimedia & Cognitive Informatics, Data Mining and Machine Learning Tools, Heuristic and AI Planning Strategies and Tools, Computational Theories of Learning; Signal, Image & Speech Processing; Intelligent System Architectures; Knowledge Representation; Bioinformatics; Natural Language Processing; Mathematics & Physics. 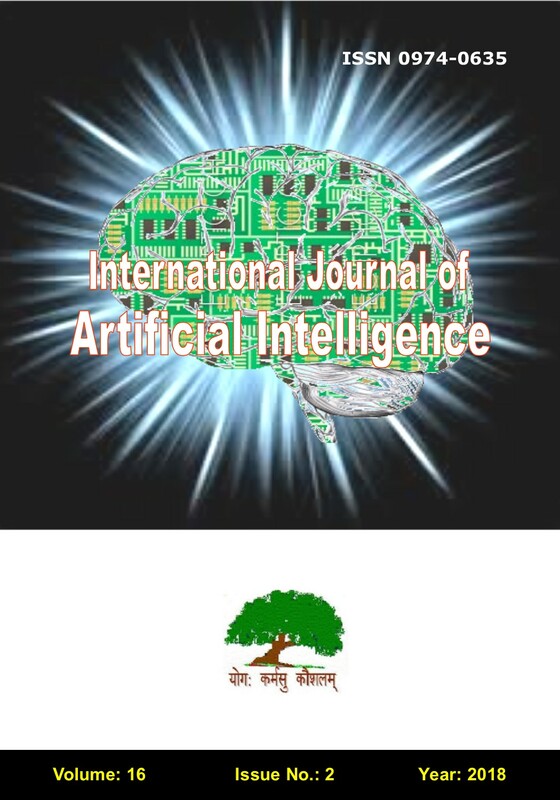 The International Journal of Artificial Intelligence (IJAI) is a peer-reviewed online journal and is published in Spring and Autumn i.e. two times in a year. The International Journal of Artificial Intelligence (ISSN 0974-0635) is reviewed, abstracted and indexed by the INSPEC The IET, SCOPUS (Elsevier Bibliographic Databases), Zentralblatt MATH (io-port.net) of European Mathematical Society, Indian Science Abstracts, getCITED, SCImago Journal & Country Rank, Newjour, JournalSeek, Math-jobs.com’s Journal Index, Academic keys, Ulrich's Periodicals Directory, IndexCopernicus, and International Statistical Institute (ISI, Netherlands)Journal Index. The IJAI is already in request process to get reviewed, abstracted and indexed by the Clarivate Analytics Web of Science (Also known as Thomson ISI Web of Knowledge SCI), Mathematical Reviews and MathSciNet of American Mathematical Society, and by other agencies.